(NEWSER) -- What did your dad buy you when you were seven? 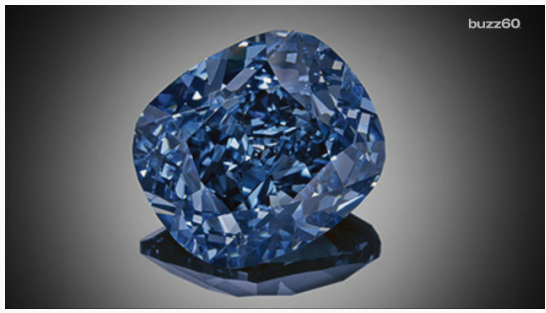 A Hong Kong property tycoon just shelled out $48.5 million on a blue diamond as a gift to his daughter. The sale at Sotheby's on Wednesday night goes into the record books as the most ever paid for any jewel at auction, reports the Associated Press. Billionaire Joseph Lau immediately renamed the 12.03-carat gem the "Blue Moon of Josephine" in honor of his little girl. And that's not all Josephine is getting: The AFP notes that on Tuesday, Lau paid $28.5 million for a pink diamond at Christie's, with that one being renamed "Sweet Josephine." She can keep it with the other blue diamond Lau bought her for $9.5 million in 2009, which was itself renamed "Star of Josephine." This story originally appeared on Newser.